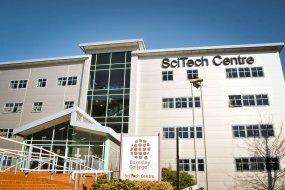 The SciTech Campus is home to our Health Sciences and Social Care Professions students and contains dedicated classrooms, labs, a lecture theatre and a simulated ward. The ground-floor Zest cafe serves snacks and drinks to keep students refreshed. Find out more about the Health Sciences and Social Care Professions courses we offer. We have several options for you to get in touch to discuss general enquiries.